Free Shipping. 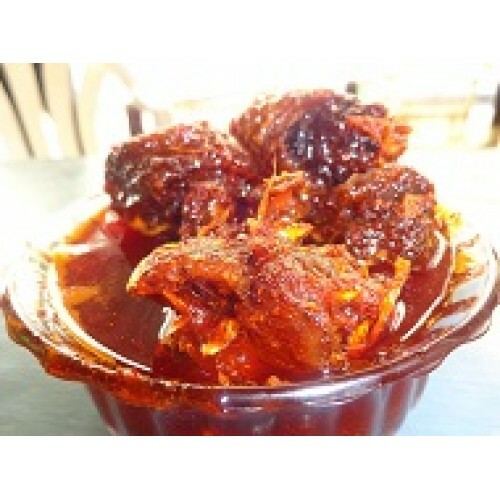 Crab Pickle prepared with fresh crab with Secrete recipe,the crabs are fried well to remove water fom it. No chemical Preservatives will be added. Only Ground oil is used which is good for health.It can be used for 4months from delivery date.